The governor’s race appears to be over. NBC Connecticut and other news outlets are reporting that GOP candidate Bob Stefanowski has conceded to Democrat Ned Lamont. Separately, Greenwich Time newspaper has called the state Senate’s 36th District for Alexandra “Alex” Bergstein. It isn’t clear whether the result is official or if the incumbent Republican state Sen. Scott Frantz has conceded. 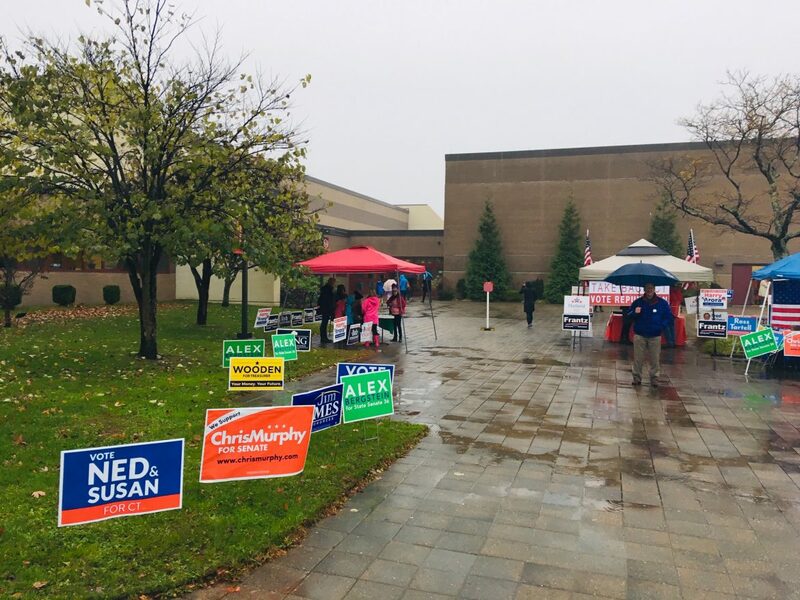 About 70 percent of New Canaan voters cast ballots on a cold, rainy Election Day, a high midterm turnout that saw local Democrats flip at least two seats in the state legislature that long have been held by Republicans. New Canaan residents Will Haskell and Lucy Dathan won versus state Sen. Toni Boucher (R-26th) and state Rep. Fred Wilms (R-142nd), respectively. Incumbent Republican state Rep. Tom O’Dea (R-125th), a New Canaan resident, held off a challenge from Wilton’s Ross Tartell, while state Sen. Scott Frantz (R-36th), a Republican, remained locked in a very close race overnight with Democratic challenger and fellow Greenwich resident Alexandra “Alex” Bergstein. Bergstein appeared to be leading by 600 votes at 5 a.m. Wednesday, and the New York Times had her leading 51 to 49 percent with all precincts reporting. Greenwich Time newspaper on Wednesday morning called it for Bergstein. Other state races, including for the governor’s seat, remained too close to call in the predawn hours Wednesday. Democratic candidate Ned Lamont after midnight pulled slightly ahead of GOP nominee Bob Stefanowski. Stefanowski’s campaign had sought a court injunction seeking to have ballots from some new voters in New Haven and UConn separated until they’re determined to be legal, though it’s unclear whether that will matter, as about 9 percent of voting districts in Connecticut had yet to report results as of 5 a.m. Wednesday. A CBS affiliate at 9 a.m. Wednesday reported that Stefanowski phoned Lamont to concede the race. In addition to electing officials this week, voters approved two amendments to the state Constitution. One will allow legislators to ensure that all funds contained in the Special Transportation Fund go for transportation purposes. The other will require public hearings and legislation prior to the transfer, sale or disposition of state property. Connecticut is woke but broke. Democrats won’t have to fight Republicans, but have to fight insolvency while taxpayers flee. Hard to understand how such a nice place to live and raise a family, near one of the world’s great cities, could have become such a financial fiasco. When (not if) CT hits the wall, the citizens of CT will have no one to blame but themselves for the choices they’ve made at the ballot box. We left for TX 3.5 yrs ago, but it’s nonetheless painful to see this keep happening – and getting worse. Among others, Scott Frantz is a real loss (if confirmed) – he was a voice of reason and reality. Competing with IL for the most indebted and poorly-managed state is no honor.